The 21st Century workplace has people from many cultures, religious backgrounds, demographics and genders and that diversity is fueling ideas and opportunity. 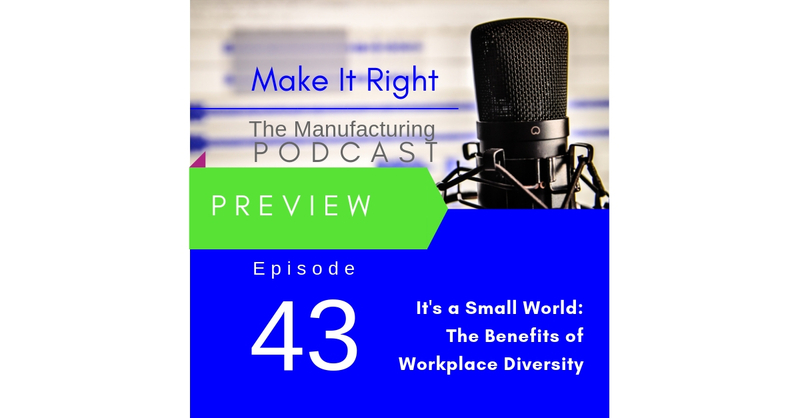 This week on the show Manufacturing Guy Kevin Snook talks about the positive impact diversity is having in factories he visited in the UK recently. Full show coming Friday March 15.